The Health Action Partnership International is an international health partnership bringing together leading professionals and organisations from across the world to improve the effectiveness of action to address the social and economic determinants of health, and to build capacity in countries to tackle health inequity. The Health Action Partnership is located within the National Heart Forum, a national charity in the UK whose mission is to work with and through its member organisations to contribute to the prevention of avoidable CHD and related conditions. HAPI has a broad remit to share learning internationally on what works to improve population health and address health inequalities. HAPI/NHF lead this project in collaboration with the project partners. Liverpool John Moores University, Centre for Public Health is a World Health Organization Collaborating Centre for Violence Prevention and has a long history of conducting original research regarding violence prevention. Victim Support Malta is the leading agency for supporting victims of crime and violence in Malta. 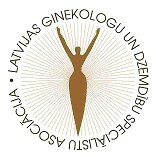 The Latvian Association of Gynaecologists and Obstretricians (LAGO) has extensive experience in this work nationally and internationally focusing on domestic violence against women, as well as developing work in Latvia on sexual assault. The East European Institute for Reproductive Health (EEIRH) has extensive experience of work on violence against women, and was country lead in Romania for implementing the gender-based violence component of the UNFPA Country Programme. The Czech Educational Institute for Child Protection (VIOD) works in the Czech Republic with other NGOs focusing on sexual violence against women. The World Health Organization's Department of Violence and Injury Prevention and Disability (VIP) works to prevent injuries and violence, to mitigate their consequences, and to enhance the quality of life for persons with disabilities irrespective of the causes. The Violence and Social Exclusion team, forms part of the Social Care, Local Government and Care Partnerships Directorate. It is responsible for a wide range of programmes, all in partnership with other government departments. These include the development of policy on the NHS response to violence and abuse, including sexual and domestic violence, knife crime, gang activity and the prevention of violence, and the troubled families programme.